As I was reading this book, I had an occasion to experience many of the points the authors made in a group where a speaker disclosed some troubling news. Those of us present naturally felt supportive and I had the impression, the process promoted growth and healing. I found myself reflecting on the authenticity of the book. The authors, using the first person "I," refer to a healing cycle composed of six steps, which cover most of the chapters in the book. In each chapter, the authors include sections on psychological science and Christianity to show how their model is compatible with science and faith. Each healing step is explained along with an example of growth experiences of fictitious group members. The authors offer several tips and strategies to help leaders deal with both basic and more complex difficulties that occur when guiding a group. Following is a brief chapter summary, which is based on a more lengthy review submitted for publication. The components of the healing cycle are grace, safety, vulnerability, truth, ownership, and repentance. The grace chapter (2) suggests ways of becoming more accepting toward difficult people. Safety in the group (chapter 3) refers to creating a psychological space where members are able to grow without undue anxiety. Vulnerability (chapter 4) promotes healing by open and honest sharing. Step four is truth (chapter 5), which focuses on providing accurate feedback to group members. Ownership is the fifth step (chapter 6). The authors observe: “You can’t change what you don’t own (p.161).” The final step is repentance (chapter 7). Here the authors introduce behavioral approaches to changing habits. The final return to grace chapter deals with the important topic of ending a group or processing termination when clients leave. My longer and more academic review has been accepted by the Journal of Psychology and Christianity. I suggest the book would be useful in Counselor Education programs at Christian Universities and for a discussion in groups of Christian Counselors--especially those who are new to leading group therapy. The book also has ideas for people leading growth groups in churches and Christian organizations. I close by noting again that the healing cycle has a ring of authenticity, which I experienced in the group mentioned above. 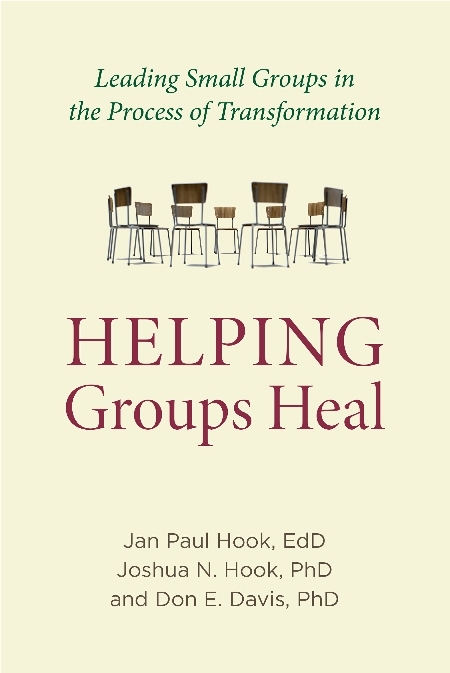 I suspect that seasoned therapists will be able to agree with many of the ideas in Groups That Heal.